The hotel construction boom in Asheville is showing no signs of slowing down. Once of the city's most iconic buildings appears to the be the next that will transform into a hotel. 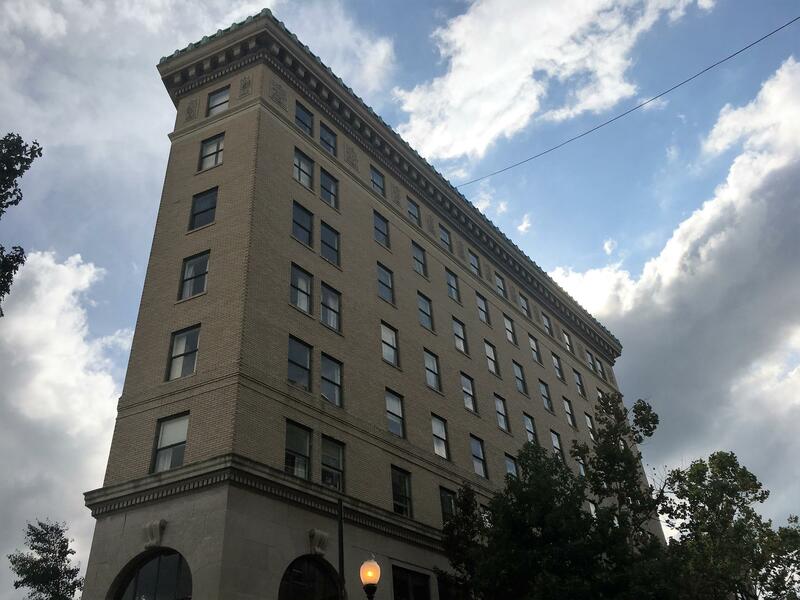 Jason Sandford of AshVegas stopped by the BPR studios to talk with Matt Bush about the future of the Flatiron Building - as well as the latest of the other parts of Asheville's hotel boom. On the plan to turn the Flatiron Building into a hotel - "The building is 91-92 years old, and has served as an office building its entire time. It's an iconic structure, one of Asheville's first major structure's built in the 1920's. It's distinctive triangluar shape really makes it stand out. A developer based in Charleston who's an Asheville native says he has a plan to save the building and remake it into a hotel. Essentially, the bones of the building would stay the same. It's concrete, the halls and doorways would remain the same. Historic renovation would require the addition of a new elevator, as the Flatiron Building is well known for its hand operated elevator right now. Most of the work according to the developer would occur behind the doors in all the rooms of the nine story structure. As short-term rentals continue to skyrocket in popularity, how will the hotel industry make sure all the rooms in the new hotels get filled - That's a great question and it's one the Buncombe County Tourism Development Authority in particular discusses, works with, and struggles with at times. Their purpose is to bring people to Asheville and Buncombe County. So what's happened is we've seen the hotel construction boom - but also in this cycle we've seen the hotel occupancy tax increase. That money goes to the TDA, and the TDA uses that money to market Asheville to the masses. The TDA's budget has increased during this period, and that means more money to create commercials and all kinds of different ads to reach people and get them to come visit. On a more practical level, what's happening for the hoteliers is the rates they charge are starting to level out. For several years they've been very high because the demand (for rooms) has been strong and the supply has been low. Now the supply of hotel rooms has been increasing, and it's catching up to that demand, and the nightly rates have been leveling out. And that makes hoteliers nervous."